Knowing very well speaking the truth would stir a conversation I was not willing to have, I responded diplomatically — in U.S. schools, students learn about our participation in the war and little else. What do Americans know about WWII? It took studying contemporary Russian history in Saint Petersburg, Russia to realize a more-whole truth about WWII. Today is about Russia’s side of the story. Note: Everything in this post is sourced from 1) My Communist History class taught by a Russian professor in Russia 2) My travels in Volgograd 3) Some independent research for minor clarifications. Some of the below information contradicts what Western historians teach. As stated in the title, this is Russia’s story — what they know to be true. Germany suffered serious consequences as the declared loser of WWI. Hitler rose to power in 1933. A devastated German society, broken economy, and effective propaganda helped his swift rise to power. The USSR was left out of the Paris Peace Conference. Germany and the USSR thus developed a close relationship. Stalin initially believed the USSR was not important to Germany, but later realized Hitler was planning something bigger. Stalin accelerated war production in the mid-30s. He may have wanted to wage war with Germany first, but the USSR was not ready yet. There are three sides in WWII — the Axis, the Western Democracies, and the USSR. Stalin offered an alliance with WDs several times, but WDs repeatedly rejected him. Eventually, the USSR signed the Molotov-Rebbentrop Pact with Germany in order to buy time and hold off German aggression longer. The non-aggression treaty, signed in August 1939, was obviously temporary. Western Democracies hoped to channel Hitler’s aggression towards the USSR because they were reluctant to fight. Hitler wanted to beat the Western Democracies and the USSR “one by one,” instead of having them join forces. Stalin wanted to avoid war for as long as possible, but realized war was inevitable. Hitler placed troops on the USSR border for months and Stalin ignored it until just a few days before Operation Barbarossa began on June 22nd, 1941. This blitzkrieg (lightning war) is the largest operating force in history at one time. Some USSR soldiers ran away. Units faced communication problems. Inexperienced soldiers and officers made decisions. Disorganization ruled the Red Army. Germans left “burnt Earth.” They destroyed everything in sight. Nazi soldiers believed the war would be quick, so they were very cruel to the local populations. The well-known Western Front opened only after it was evident Germany would lose the war. 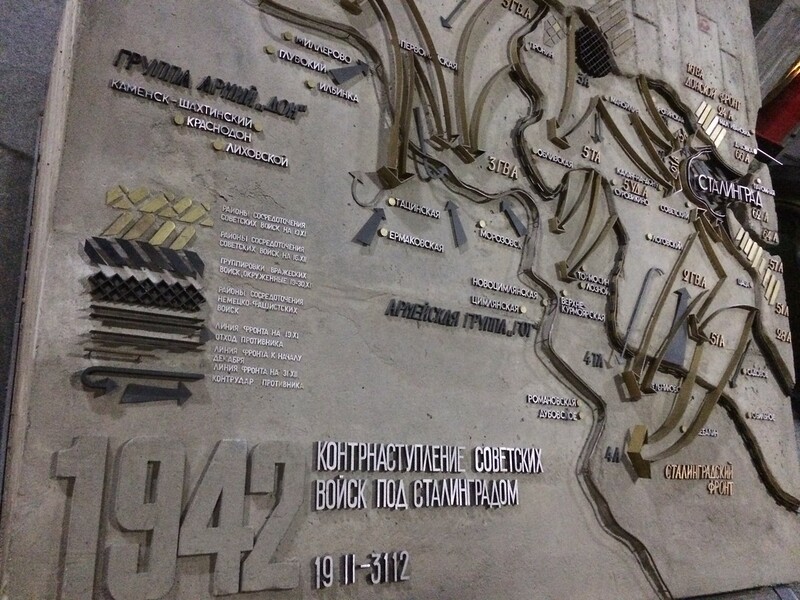 The Eastern Front is where the war began, changed directions, and ended. Stalin, at the beginning of the war, placed emphasis on offensive operations; he believed the war would not really be in Russia. Stalin believed Europe offered more for Hitler, but eventually Stalin realized he needed to change strategy. Stalin asked France and Great Britain to open the Western Front to alleviate his soldiers’ suffering. The West believed their armies were not yet ready. The Western Front did not open, thus the USSR sustained the majority of war efforts. Eventually the West accepted the USSR as an ally and would support them with approximately 10 billion dollars in weaponry and other materials. This lend-lease program, however, came after the major fighting was over and a decisive victory was imminent (after Stalingrad, further described below). Americans’ place historical significance on the lend-lease program, not recognizing that the USSR already outproduced Germany in military technologies. 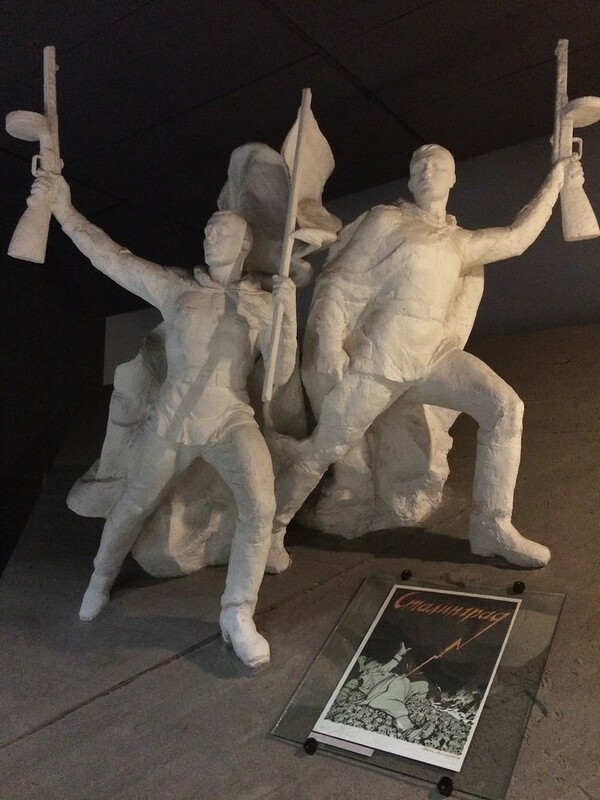 Three things, according to my Russian history professor, supported the Soviet war effort and sustained resistance. Authorities promoted resistance & punished defeatism. As an example, Soviet soldiers who were captured and taken prisoner were deemed “betrayers of the Motherland.” The prisoner’s family suffered social and financial penalties. In addition, officers were ordered to block detachment, meaning soldiers who retreated or officers who allowed units to disintegrate were shot and killed. Finally, defeatists who shared truths of life on the battlefield were shot and killed. German brutality. Nazis were brutal, including to civilians. Stories spread across the USSR and this helped develop patriotic resistance and general German hatred. 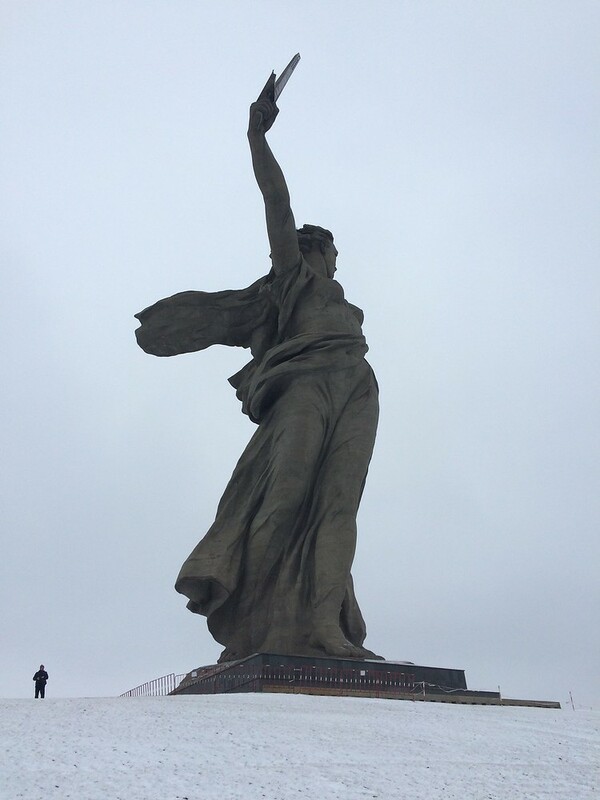 Stalingrad, now Volgograd, is a city of military importance and symbolic significance for the USSR…and Germany. The city also offered easy access to oil and other important resources to maintain a war effort. Germany needed the city of Stalingrad to win the war, but Stalin and his patriotic soldiers refused to let the German Nazi army take their city. Stalin and Russian soldiers realized losing Stalingrad would lose the war, so they fought until death to protect their beloved country. The Battle for Stalingrad lasted from the July 17th, 1942 to February 2nd, 1943. Soldiers transferred to Stalingrad in trains, kept like cattle. 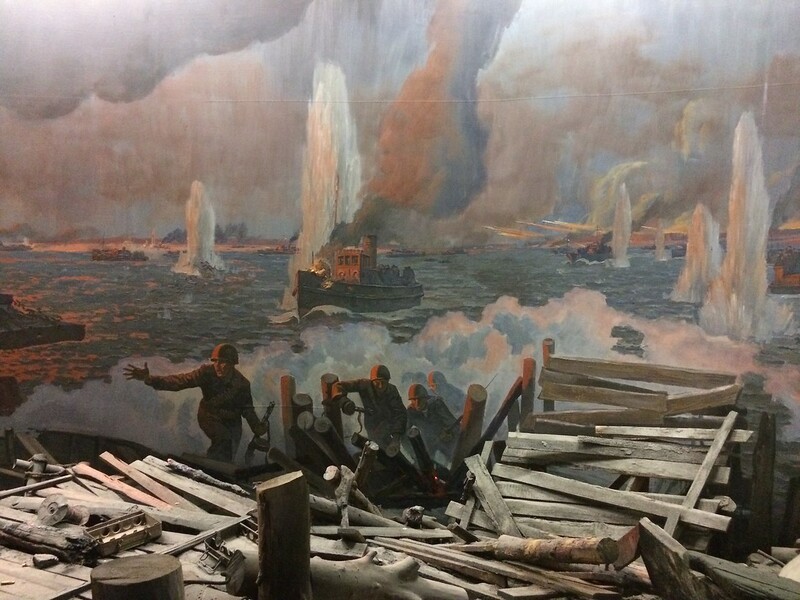 As soon as the train doors opened, they immediately entered the battlefield. German fighter jets ruled the sky, shooting anything moving. Fighting occurred everywhere. There were more soldiers than guns. Soldiers were either handed a weapon or bullets. Once the soldier with a gun was wounded or killed, the soldier without bullets picked up the gun and shot. A soldier’s life expectancy in Stalingrad was less than 24 hours. How would you fight knowing you will never see the sunrise or set again? Nearly 1.2 million soldiers died, wounded, captured, or missing during the Battle for Stalingrad. It is impossible to wrap the mind around 1.2 million lost soldiers from a single battle. 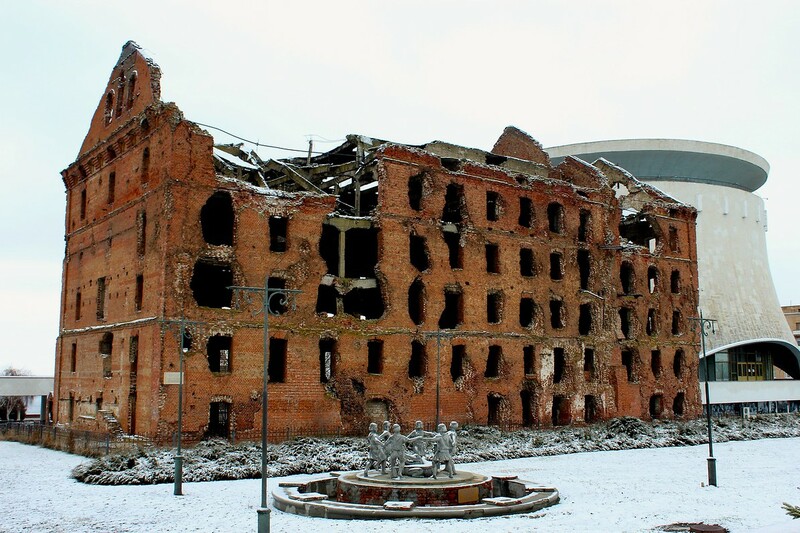 Stalingrad was unrecognizable on the third of February, after the battle ended. Dead bodies and rubble littered the streets. Buildings were unrecognizable. 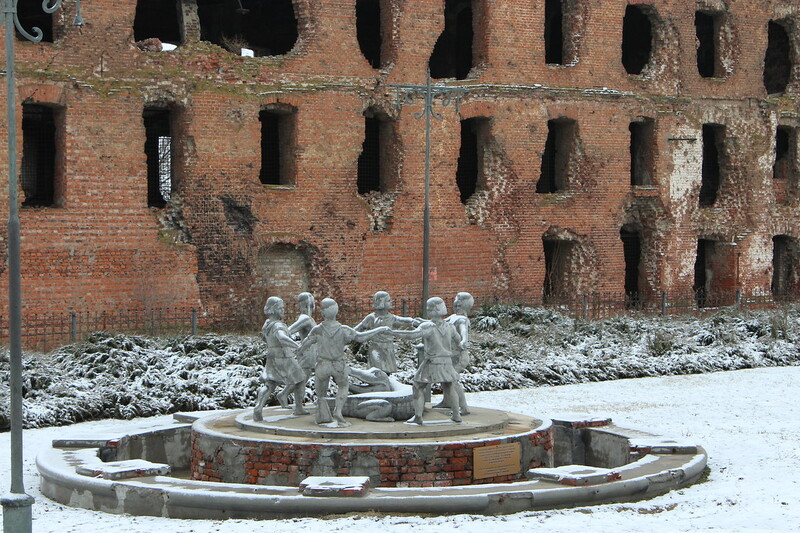 The only recognizable structure was Barmaley Fountain, officially known as Children’s Khorovod — a statue of six young children dancing around alligators. Juxtaposed against the devastated city of Stalingrad, this fountain symbolized the human ability to destroy, but also humans’ resiliency. While walking the streets of Volgograd, what Stalingrad is now named, a soldier quite possibly died where each step lands. Are locals reminded daily of the tragic battle? 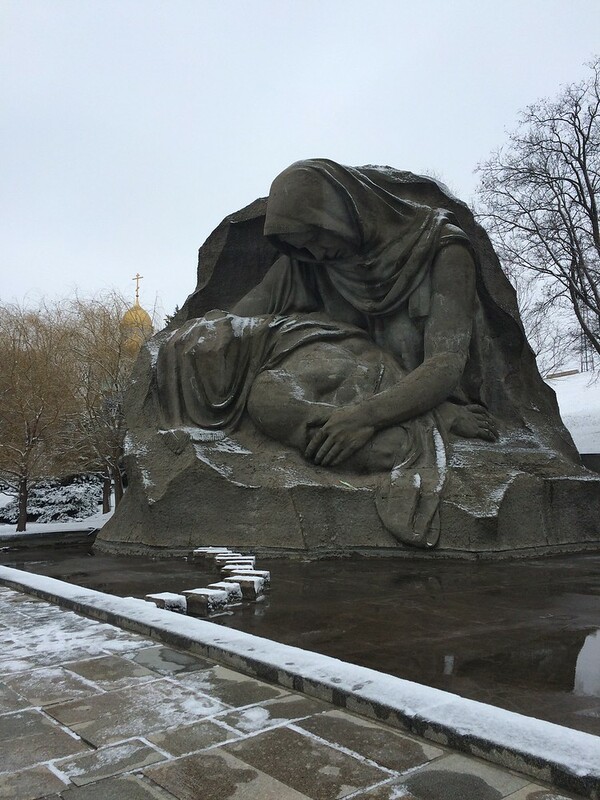 Arguably of equal importance to the Battle of Stalingrad is the Siege of Leningrad. In fact, an entire post will be dedicated to the Siege of Leningrad. The Kursk Battle is the greatest tank battle in human history. Nazis realized Europe still refused to open the Western Front, so they took the opportunity to make further advances in the USSR. Soviet intelligence was much stronger than German intelligence (and was supposedly more developed than even Great Britain’s intelligence), and this arguably allowed for a Soviet win. Oh, and about every other battle fought. Who suffered the most loss? The USSR by a long shot with 26 million civilian deaths and 11 million soldier deaths. Who captured the enemy’s capital first, thus delivering the final blow? The USSR. Who fought and won the most battles, thus bearing the most weight of the war? The USSR. 1200 words is not enough to fully describe WWII. 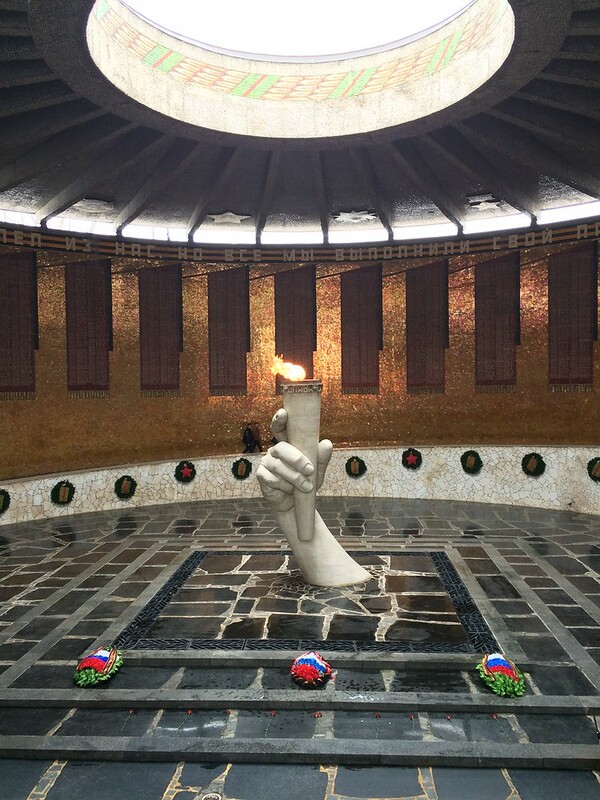 I still know very little and, after feeling the sorrow in Volgograd, am inspired to learn more. Hopefully you do the same. Stay at Scotch Hostel, hands-down my favorite hostel. Visit Mamaev Kurgan, the 72m-high statue of Mother Russia. 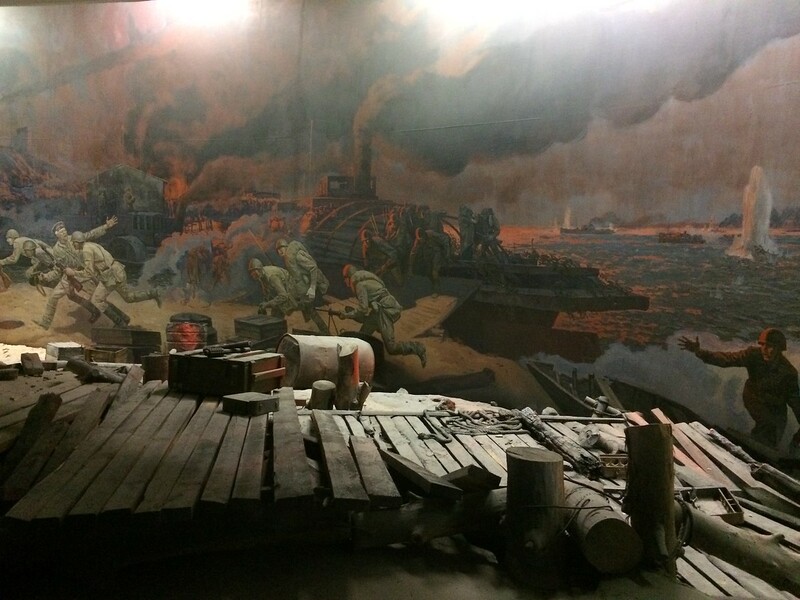 Learn more about the WWII efforts in Stalingrad at the heartbreaking Panorama Museum of the Battle of Stalingrad. Walk this city and feel the sorrow and witness the regrowth. Do yourself a favor and don’t bother catching a bus from the airport; take a taxi instead. What WWII resources do you recommend? All photos in this post were captured in Volgograd. Thank you so much for writing this piece. Every country will paint a picture of its own past, and it’s fascinating to hear Russia’s story. It’s crazy that they lost so many men from one battle – I literally can’t get my head around it! Yes, it is so difficult to understand the gravity of the loss! It wasn’t until I read about the 24 hour lifespan that I started to really understood. Thanks for reading! Great post, it is always hard to cover something like this and you have done well. Love it. Travel on. Thank you! I tried to get it right. Safe travels to you! It’s very nice to see, that somebody still know the price of win and who did the most of sacrifices. Many of our people don’t understand the meaning of 9 May – the day, when “our war” has been ended. Somebody of them thinks that it is useless day, and all the marches is dumb, because they’re not understanding this sacrifices. I wrote this, because i’m glad to see your article about “our” war. Here it calls a “Great war of Fatherland” if i had translated this right way. With respect and love from Russia. с днём победи! я была в россии на днём победи…прекрасный и трагический опыт. спаcибо за чтение!